This heavy duty electronic time and date stamping machine has the flexibility to accommodate any time/date stamping applications providing accurate tracking system for your business. 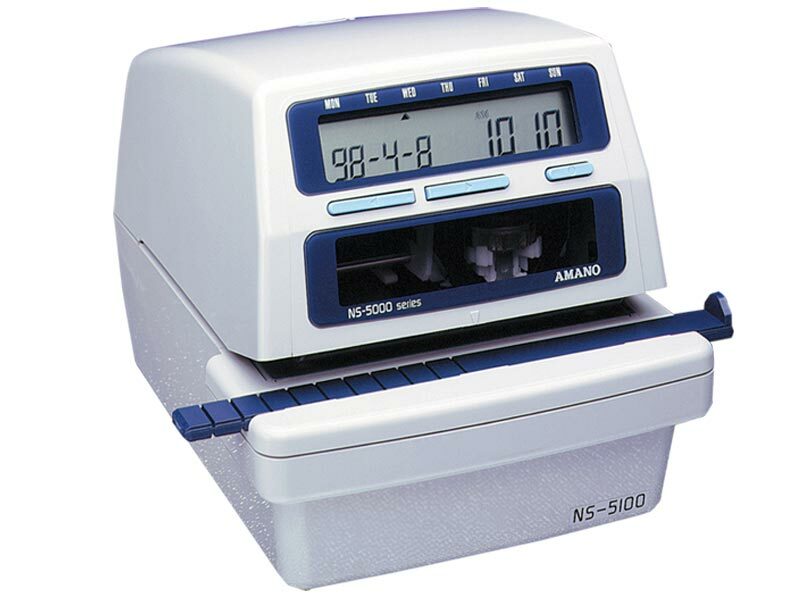 The NS-5100 Series features programmable print size capabilities for a wide range of needs, and has an adjustable print position stopper and side guide for easy fool proof alignment. The user-friendly NS-5100 Series requires minimal attention, allowing employees to focus on other priorities. Prints through up to six (6) carbon copies (1 mm thickness max.). Automatic and touch plate printing. Adjustable print position stopper and side guide. Automatic reset every day at a specified time as required. Programmable print size accommodates wide range of needs. Flexibility to accommodate any time/date stamping application.